I am Sunil Sharma Preparing for GMAT.I live in small city of Ballia in Eastern U.P.i have No Access to GMAT coaching.So i am getting Tuition from maths and English Teacher of a School. I am Reading The following Books. Can Anybody Guide me Whether it's Sufficient to reads these Books only to get 700+ score in GMAT. I want to Know if i Completed these books whether it is sufficient or not.Besides these which Mock Test i Should use for Practice. If you're just beginning, then it would be a good idea to take a FULL-LENGTH practice CAT Test; you can download 2 for free from www.mba.com (and they come with some additional practice materials). If you want to spend a little time familiarizing yourself with the basic content and question types that you'll see on the GMAT, then that's fine, but you shouldn't wait too long to take that initial CAT. A FULL CAT takes about 4 hours to complete, so make sure that you've set aside enough time to take it in one sitting. Once you have those scores, you should report back here and we can come up with a study plan. While the books that you have should provide you with plenty of practice problems, no book can completely prepare you for the computer-adaptive GMAT. Many Test Takers who use a 'book-heavy' study approach end up getting 'stuck' at a particular scoring level, so it's possible that you might eventually need to invest in some new non-book resources. I will be appear in GMAT in May 2016 and i like to apply to one years MBA Programs in India Only College like ISB/XLRI/IIM'S AND GREAT LAKE and S.P, jain mumbai etc. I like to get score of more than 700 marks in GMAT.The deadline for aforesaid school will in October onwards in this years. A 700+ score is right around the 90th percentile overall, which means that 90% of Test Takers either CAN'T or WON'T do what it takes to score at that level. There is no way to guarantee that you'll score at that level with any combination of resources - and unfortunately, Test Takers who use a 'book-heavy' study approach tend to get 'stuck' at a particular scoring level, so it's tough to say exactly how you'll score if you follow your current plan. Thankfully, you have plenty of time to study. To start, you should take that first practice CAT and then post back here with your scores. We can talk through your study plan once we have a better idea of your current strengths and weaknesses. I took GMAT Prep Exam and i Got 350Marks out of 800. How Can I improve my Score to 700+ in Real GMATExam. With a 350, you have a LOT of work to do to improve to a 700+. With a May Test Date, you have plenty of time to study, but it's important that you study consistently and in an efficient way. Since you have to improve in so many areas, I think that you would find it beneficial to invest in a GMAT Course of some type (either Guided Self-Study or instructor-led). 1) What were the Quant and Verbal Scaled Scores on this CAT? 2) Did you have problems finishing any of the sections on time? Did you have to guess on a bunch of questions just to finish (and did you leave any questions unanswered?)? I Got 350 in GMAT and Q30 and V11 in CAT of GMAT Prep Test.I was able to finish in time the entire Test in stipulated time. Given everything that you've described, I think that you should work with your instructors for 3-4 more weeks, then look into the various online GMAT Courses. Most GMAT Companies offer some type of free materials (practice problems, Trial Accounts, videos, etc.) that you can use to 'test out' a product before you buy it. 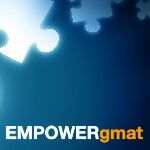 We have a variety of those resources at out website (www.empowergmat.com). I suggest that you take advantage of all of them then choose the one that best matches your personality, timeline and budget. Go through this link. It's all the manhattan thursdays with Ron videos. 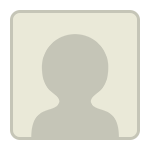 It might me of immense help to you.